Around the world in 80 days, in a tuk tuk, powered by solar? Not really in 80 days! Even though, it would make for a wonderful sequel to the Jules Verne classic, we are not talking about a fictional story here. An Australian-Indian engineer Naveen Rabelli, has set about on a unique journey where he has planned a trip from Kochi all the way to London in a tuk tuk. Yes, you read that correct. The story would be far more believable if the narrative was written about as much in news as the Solar Impulse aircraft, but it truly is about a man travelling 10,000 odd kilometers in a tuk tuk that is powered by electricity and solar power. Rabelli has been on the road for seven months now, and hopes to reach Buckingham Palace around mid of September, which would mark the end of this extra-ordinary voyage. The journey was scheduled to be completed earlier, but Rabelli was unfortunately robbed of his passport and cash from the tuk tuk in Sarcelles, north of Paris. Such has been the popularity of the tuk tuk, which cost Rabelli about $1500 upfront and another $11,500 in modifications, that it has been given its own name, Tejas. There is a dedicated Facebook page for the same, that Rabelli maintains to keep all us up to date about his journey. You can follow the same here. The tuk tuk has a top speed of 60 kmph, and has been a project that Rabelli has worked on for four years now, pouring all his savings into the same. His mission has been to showcase to the world a sustainable and a cost effective solution for transportation while ensuring zero-emission. The tuk tuk, before halting in Paris has crossed about ten countries, starting from India. These include: Iran, Turkey, Greece, Bulgaria, Serbia, Austria, Germany and Switzerland. 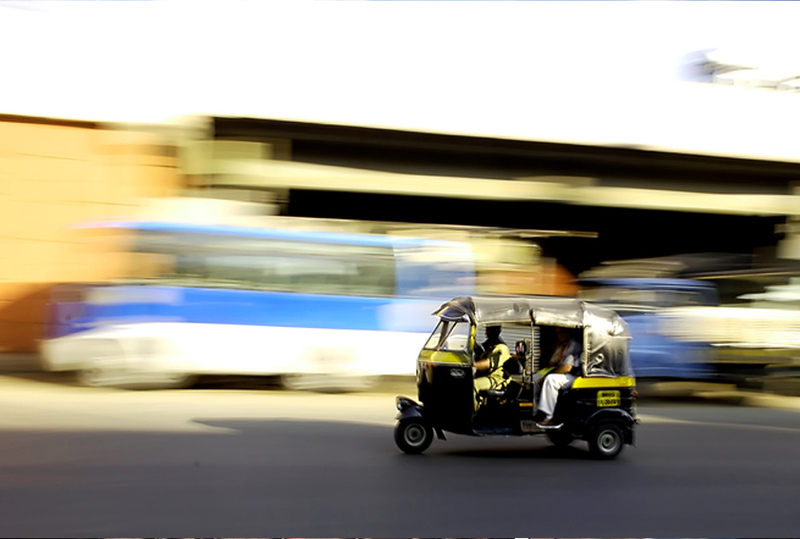 Being an electric vehicle, the tuk tuk has three lithium-ion batteries that are responsible for running the main motor. In case, there is no socket for power supply, like several villages of India, there is an overhead solar panel that is placed on the tuk tuk to recharge the battery and ensure that the tuk tuk is on the road, moving. Going has not been easy for Rabelli who had met with an accident, back in India, just before he set out on this epic journey, which delayed the flag off by at least 6 months. There have been flat tyres, mechanical failure and roads have not been too kind. There have been nights on the journey where he has had to unscrew the second seat in the cargo and make a bed to sleep at night in the vehicle alone. On good days, there have been people who have been welcoming and have given him warmth and hospitality that he has been only glad to share with the world via his Facebook page. As they say, where there is a will there is a way, Rabelli has continued defying the odds and we are sure that the setback in France is not going to dampen his spirits. From the entire team of MYSUN, we wish Rabelli the best and cannot wait for him to reach the finishing line. f the Lifetime of Solar Panel have exceeded, how do we able to destroy the Panel.. Note: They wont degrade even when kept under the soil i.e Affects the Soil fertility..i have a major doubt on destructing the panel after its extension of lifetime, also searched in many websites for the Answer,. please kindly reply !! i cant able to start my work without knowing the answer for this question.